Get international moving quotes online, without cost or obligation! You can save yourself a lot of time and energy by submitting just one request. Obtaining direct and customised quote responses from international moving companies that can help you with your move anywhere in the world! There is no better way to save money than by comparing quotes. You can then see at a glance the different types of services and related costs that are available to you. Sometimes you may not have the time or the patience to do all the ringing around yourself to get the information you need. That is where Intlmovers can help, because it does the work in the background for you! You complete a few basic details about your international moving needs. You’ll get up to six moving quotes back directly! International moving companies promote their services online with Intlmovers. Your request is forwarded to them immediately after you complete the basic online request form. You are then free to take your time to review and evaluate your options. Make a more informed choice about your international moving company to help you relocate to your new destination! The international movers have years of experience with moves all over the world. You can avoid stress and save energy by letting the movers manage the hard work. Getting a moving quote online can help you work out the best option for your international move. You don’t have to waste a lot of time in the initial process. 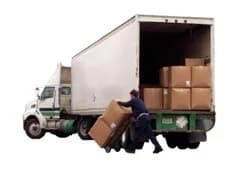 What is important to remember is that the quotes that you are provided with can only be as accurate as the information that you supply to the moving company. If you are moving out of a high rise apartment building or have a two level town house with a narrow stairway, then this should be highlighted up front. You may have restricted access to the front door or there are special restrictions in regards to the use of the lift. By giving this information up front, the moving companies can prepare their quote accordingly. As well as providing you with useful advice that can help with the moving process. When you are considering an estimate of how much you have to move. It’s always better to overestimate rather than underestimate what you think you will have in total. It is not uncommon for an expected 40 boxes of goods to turn in to 60 boxes. This will have an impact on the overall cost of your move and the time it takes. Not only for the move itself but also for the packing and unpacking, if this service is also being quoted on. Whenever in doubt, you should always ask. Remember that the moving companies help families and businesses move every day so there is unlikely to be a situation or a query that they haven’t answered or addressed earlier. Common issues can often be easily handled when you take advantage of their professional moving services. International moving companies have years of qualified and trusted experience. They help families and businesses move to all parts of the globe every day of the year. When you are packing up your most precious items, you want to feel comfortable that they are being well handled and well managed. You can trust in the experience of movers that you find here with Intlmovers. Certainly there are a number of clear advantages of saving time by requesting international moving quotes online. Saving time and avoiding the usual hassle of searching and ringing around is always useful. Whilst Intlmovers can help you identify the right international moving company online, you are under absolutely no obligation to choose any of the companies you find. Intlmovers quotes are provided completely cost free and obligation free!